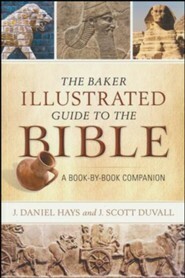 The Baker Illustrated Guide to the Bible provides a clear, reliable, and attractive resource to enhance personal Bible study. With a chapter for each book of the Bible, the guide presents the book's central teaching, setting, message, interesting features, and a key memory verse. In addition, each biblical book is placed in the context of Scripture as a whole, allowing readers to understand God's unfolding plan from Genesis to Revelation. 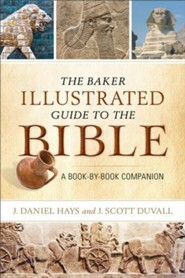 With beautiful, full-color photos, maps, and illustrations, this book-by-book companion to the Bible is perfect for Sunday school teachers, students, and everyday Christians who will find it quickly becomes the first place they go before beginning a book of the Bible. J. Daniel Hays (PhD, Southwestern Baptist Theological Seminary) is dean of the School of Christian Studies and professor of biblical studies at Ouachita Baptist University in Arkadelphia, Arkansas. He is the author or coauthor of many articles and books, including Grasping God's Word, The Baker Illustrated Bible Handbook, and Jeremiah and Lamentations in the Teach the Text Commentary Series. I'm the author/artist and I want to review The Baker Illustrated Guide to the Bible: A Book-by-Book Companion - eBook.